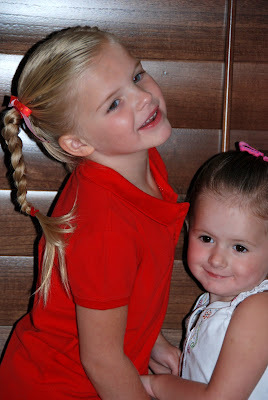 Yesterday morning while Bug was getting ready for school (doesn't she look adorable in her uniform?) We've been working on tying a bow with ribbon, her shoes, and anything else that will tie. This morning Nanny only helped her get it tight enoug. The rest, she did on her own. 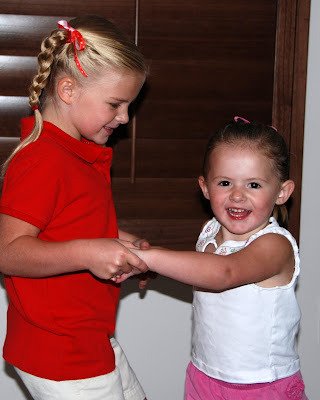 After she was all ready for school she played a little bit of ring around the roses with Dives. Little Dives was so excited to play with her. It's so fun watching them getting along so well and being so cute. she looks so stinkin' cute in that uniform! 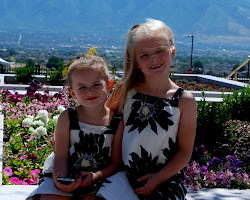 How did these girls get so grown up so fast!?! They both are too sweet for words!